The longer you cook down this garlic, eggplant and zucchini sauce the better it gets! Heat oil in a saute pan and add the garlic slices. Once the start to soften, add the eggplant and zucchini. Cook until nice and soft. Add sun dried tomatoes and salt to taste and really cook down. 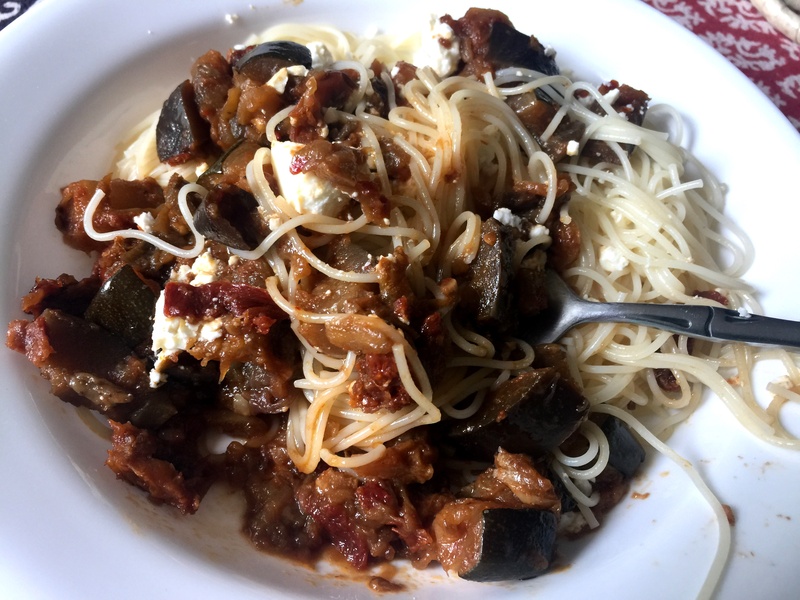 Top cappellini with eggplant and zucchini mixture, then top with feta cheese.